Complying with firearm laws are important for both yourself and others. Laws are in place for both the safety of the firearm owner and for the general public. Each state has varying gun laws, before assuming laws are the same everywhere, it’s important to check to avoid fines or worse. Consumers must be at least 18 years of age in order to legally purchase a pistol. However, the consumer must have a purchase license and the pistol must be purchased from a private seller. Once a consumer is 21 firearms can be purchased from a federally licensed dealer. Long guns, which are defined as guns longer than 26 inches long can be purchased by consumers who are at least 18 years old, so long as they do not have a criminal background which prohibits them from doing so. Gun stores in Michigan are knowledgeable of gun laws and happy to answer any questions you might have. Open carry is allowed in Michigan. This means a person is allowed to carry a firearm in plain sight. The two stipulations are that the gun cannot be hidden from view and all laws must be abided by. 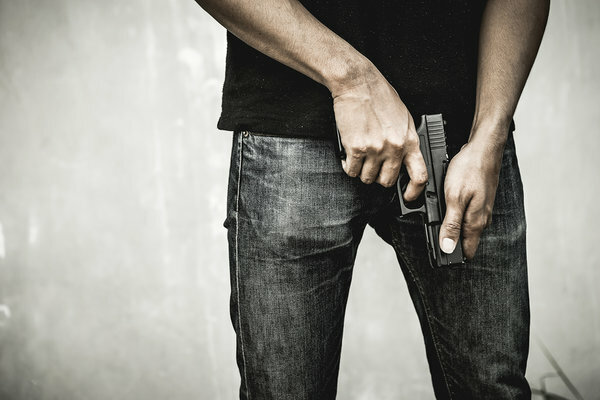 Gun owners must be mindful of certain facilities which prohibit all gun carry. These can include schools, stadiums, and facilities which serve alcohol. While firearms are permitted in vehicles without a concealed weapon permit, there are stipulations. The gun must be unloaded. This includes both the chamber and the clip. The firearm must also be in a closed firearm case and not just laying on the passenger seat. In fact, Michigan law states that the firearm must be in the trunk or behind a seat. The point is that the occupants of the vehicle are not able to easily access the gun. Interestingly enough, schools in Michigan are allowed to make their own individual policies concerning guns on the premises. Michigan does not allow concealed weapons inside schools, even if the carrier has a permit. However, owners are allowed to open carry. The firearm must be in plain view to comply with the law. Guardians are allowed to carry guns in their vehicle when dropping off or picking up children. The reason is that although the premises are in most cases considered a gun free zone, the parking lot is not included. Firearms are great when intended for lawful use. Gun laws are in place for the safety of all. It’s important to check on and abide by all gun laws before purchasing a firearm. If you are unsure as to a particular gun law, gun stores are more than happy to help you acquire the proper paperwork and permits needed to suit your purpose.